Would Le’Veon Bell really make that big of a difference this season? We've made it through the first quarter of the Steelers 2018 season. Sitting at 1-2-1, things aren't going as anybody had planned, but there's still a lot of football to be played. Unfortunately, when watching the Steelers defense, you can still see how badly they miss Ryan Shazier. His athleticism and knack for big plays masked a lot of the issues we're seeing now. Once he went down last year a lot of ugliness got exposed, and it hasn't gone away. Jon Bostic has been solid at linebacker, but he and Vince William have struggled to cover tight ends through the first 4 games and neither have Shazier's playmaking ability. It's hard to tell at this point if the Steelers will find a solution this season. A player that presumably was drafted to replicate Shazier's athleticism and playmaking is safety Terrell Edmunds. He has shown some flashes through the first 4 games, but I think it's pretty clear he isn't ready to be starting. Now don't misinterpret me here, I'm not trying to say he is a bust; Shazier as a rookie was also raw and made a ton of mistakes. Edmunds has been forced to start because Morgan Burnett has been injured, but hopefully, Burnett heals up soon and Edmunds can return to his role as a third rotational safety. He has potential, and the fact that he's been a part of two turnovers thus far shows he can be a playmaker, but he's not there quite yet. 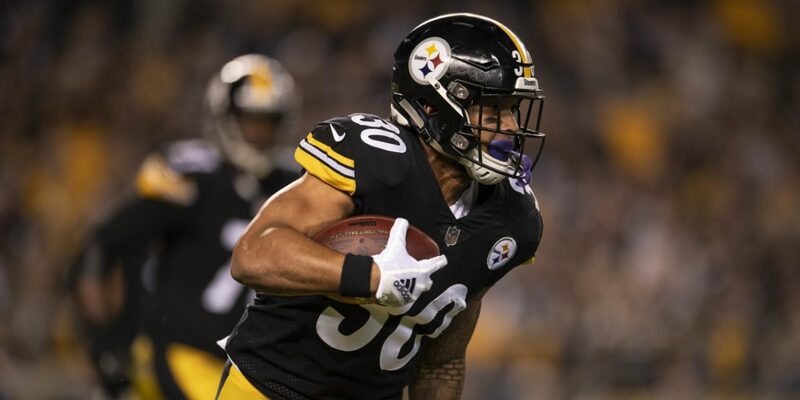 Everybody was excited about James Conner after the preseason and his week one performance, but our running game has been completely different these past three weeks. In week one Conner ran for 135 yards, while in weeks two through four he's only rushed for 97. I'm not sure who's to blame if anybody. 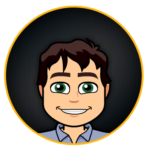 Is Conner just not running well? Is our offensive line not opening holes for him? Regardless, something needs to be fixed. It also makes me wonder if Bell would be having a similar fate. Would he also be failing to gain yards, or would his patient style enable him to find holes? Just a thought. This article isn't all negative, one positive I've seen this year is Ben utilizing all of his weapons. While it still slightly disappointing not seeing Antonio Brown make as many big plays as he used to, it's nice seeing Ben have other players to throw to. 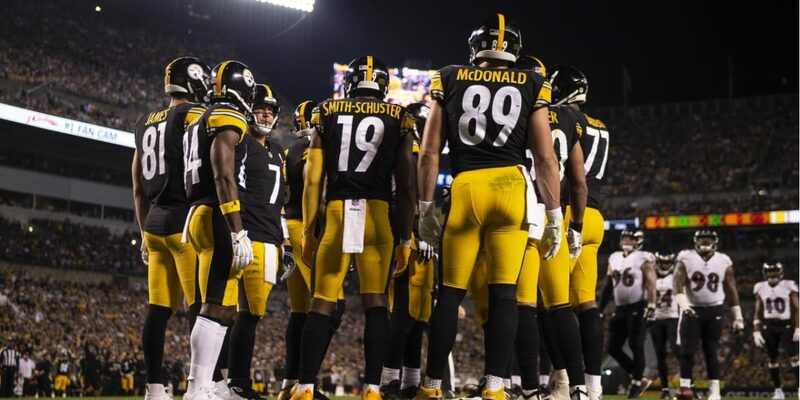 JuJu Smith-Schuster, James Washington, Ryan Switzer, Vance McDonald, and Jesse James have all proven they can be threats. In fact, the Steelers offense has seemed to stall out often when Ben focuses too much on getting the ball to Brown. Ben spreading the ball around is a trend that this offense should continue as it seeks to figure out how to be more consistent, especially with so many emerging playmakers on the roster. Switzer joined the team late but has adapted fairly quickly to the offense. His immediate impact has been on special teams, where he has proven to be dynamic returning kick and punts. While he has yet to return one all the way, he's had fantastic ball security and has looked very shifty on returns. On offense, he's contributed as well. Not only have we seen him have success as a slot receiver, but also as a pseudo running back. He's basically a toy for Randy Fichtner to play with and he's still figuring out how Switzer works. I'm sure his role will continue to grow as he gets more comfortable with Ben and the offense - his seven catches against Baltimore proves this. No, I'm not talking about Ben Roethlisberger staying clean, I'm talking about opposing quarterbacks. The Steelers have had a lot of trouble sacking the quarterback this year, and honestly, I'm not surprised. Last year the Steelers led the league in sacks, but the method they used didn't seem sustainable. Rather than guys winning their individual matchups, a large portion seem to come from schemed blitzes. Teams have seemingly adapted and know if they spread out their offense and force the Steelers to drop more guys in coverage, their pass rusher will be essentially phased out. Chalk this up to more disappointment than a surprise. Oh, Keith Butler, I'm not sure what all is left to say to be honest. Our defense is very tough to watch, and considering all the talent and draft pedigree we have, this shouldn't be the case. Yes, the unit isn't perfect and the players have been very inconsistent, but at some point, you have to look at the top. I firmly believe with a better scheme and game plan our defense would be better. As I alluded earlier, Shazier masked a lot of the problems our defense had. Butler had a whole offseason to patch this hole and failed, and our defense is now seemingly the worst it's been in years. Butler had his shot to make this defense his, but I think its time to bring in somebody fresh and new. I don't anticipate a midseason change, but I wouldn't be surprised if Tomlin took over play-calling duties as he has in the past. Is it time to give some other rookies a shot? 1) ILB Mathew Thomas. If anyone can replicate Shazier's impact it's Thomas, who has the best size and speed among all of our inside linebackers. Yes, he's raw and might make some big mistakes, but if the Steelers are looking for a spark on defense, he might be the answer. We saw this ability in the preseason, and given the fact that he's received first-team reps in practice, we might see him sooner or later. 2) RB Jaylen Samuel. No, I'm not looking to bench Conner, but I think Samuels could contribute in a pass-catching role. Conner is a solid receiver, but quickness and making guy miss isn't his specialty. Samuels was a playmaker in college and utilizing his receiving skills could help make our offense more dynamic. 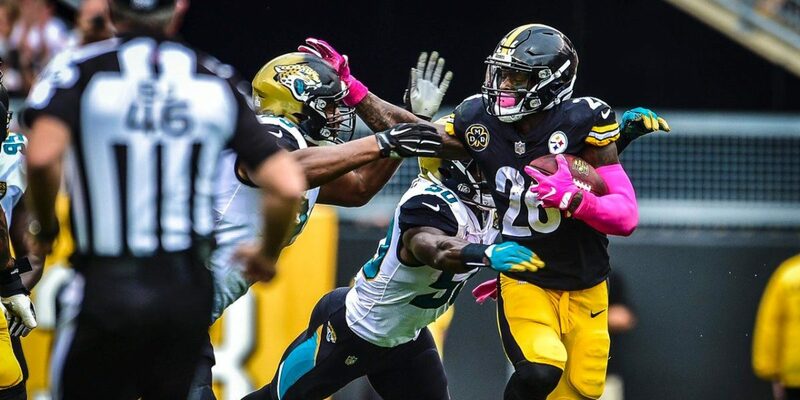 A combination of Samuels and Conner may be the Steelers best bet at replicating Bell until he returns. Yes, things in Pittsburgh are looking grim, but I'm not ready to throw in the terrible towel. I still believe the potential is still there for this team to have a successful season. A healthy Mike Hilton and Morgan Burnett will improve our secondary, Randy Fichtner will continue to grow and improve in his first year as an offensive coordinator, and though many don't want to hear this Le'Veon Bell's eventual return will bring a spark to this offense. Stupid mistakes like too many players on the field can be fixed, and if this team can finally focus they may be able to unlock their potential. It's a tough road ahead, but when you have a hall of fame quarterback like Ben Roethlisberger to lead the way, there's always hope.